This essay gives a concise overview of Mackintosh's architectural career, providing a narrative framework for the entries on individual building projects contained in the Catalogue. Using evidence gathered by the Mackintosh Architecture project – especially from Dean of Guild Court drawings and related archives, and from the practice records of John Honeyman & Keppie /Honeyman, Keppie & Mackintosh (JHKM) – it describes Mackintosh's role within the practice more precisely than has previously been possible. The project Timeline provides a chronology of his architectural career and key events in his personal life. Charles Rennie Mackintosh was born not far from Glasgow's medieval cathedral on 7 June 1868. His father was a policeman with an office-based job in the City of Glasgow force. 1 Mackintosh attended Reid's Public School before moving to Allan Glen's Institution, which had been established by private endowment to provide 'a good practical education to ... sons of tradesmen or persons in the Industrial classes of society'. 2 By the time he became a student there, it had begun to specialise in scientific and technical education. After leaving Allan Glen's, Mackintosh began his training as an architect in 1883 or 1884. 3 He was no doubt influenced in his choice of career by the intense building activity of Victorian Glasgow, industrial metropolis and second city of the British Empire. At this period the route into the profession was by apprenticeship with an established architect, and Mackintosh went into the Glasgow office of John Hutchison, where the fees for his five-year pupillage were presumably paid by his father. Hutchison has been described as 'little-known', but he was evidently a figure of some standing in the architectural world of 1880s Glasgow. 4 Born in Paisley, he trained with John Thomas Rochead in Glasgow before going into practice on his own account by 1868. He continued to live with his sister and furniture-manufacturer brother in Paisley, even after opening an office in Glasgow c. 1869, and it was perhaps his Paisley connections that led to his being selected to compete for the Coats Memorial Church there in 1884–5. 5 With an advertised budget of £20,000, this was among the outstanding Scottish ecclesiastical commissions of the period. Hutchison was one of only six architects invited to take part, a field which included J. P. Seddon and other London men, as well as J. J. Burnet from Glasgow. Hutchison's design, though it did not win, was commended by the assessor James Sellars for the 'grace and elegance' of its tower and spire and for its plan, and it was later published in the British Architect. 6 Hutchison may have competed against Burnet again the following year for the important job of the new Barony Church in Glasgow. At any rate, designs by him for this building were included in the 1888 Glasgow International Exhibition (1712 and 1752), where they were described as showing 'an effective interior, but an exterior wanting in force and character'. 7 Hutchison was one of more than 50 Glasgow architects who signed a letter objecting to the terms of the competition for the design of the buildings to house the 1888 Exhibition. 8 It is not clear if he was one of the 12 who ultimately submitted designs. 9 If he was, the young Mackintosh may have had his first taste of exhibition design while an apprentice in Hutchison's office. 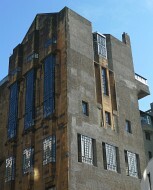 Of the projects that Hutchison actually built during Mackintosh's apprenticeship, just two are known. 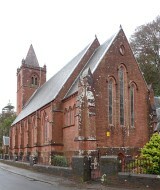 A perspective of his Craigmore church at Rothesay on the Isle of Bute was published in the British Architect in 1889. 10 It was an unremarkable Decorated Gothic building with a large W. window of geometric tracery and a short spire to one side. Much more interesting was R. Wylie Hill's department store in Glasgow's Buchanan Street. This was by any standards a major commission: a six-storey emporium in the city's most exclusive shopping street. It too was published in the British Architect, and it would have given Mackintosh a sense of the exciting opportunities available to an ambitious architect in late 19th-century Glasgow. Our only direct insight into the kind of design work Mackintosh might have done in Hutchison's office relates to this building: W. J. Blain (1870–1958), who succeeded Mackintosh in Hutchison's employment in April 1889, recalled that Mackintosh had made drawings of Ionic capitals to be executed in plaster for the store's interior, and that these 'appeared to be different from the copy-book types customary at the time'. 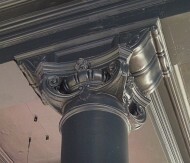 11 The building was subsequently damaged by fire and the upper floors partly rebuilt, but it is possible that some of the capitals still to be seen there date from Mackintosh's time. Wylie, Hill Robert married Isabella M. Rowat of Paisley (a cousin of Jessie Wylie Rowat, who in 1889 married Francis H. ('Fra') Newbery). Mackintosh later designed fireplaces for three members of the Rowat family, including one for Isabella at 3 Lilybank Terrace, Glasgow, and it is possible that his early association with Wylie Hill through Hutchison played some part in these commissions. Ambitious apprentices supplemented the practical experience they gained in the office by attending art classes. 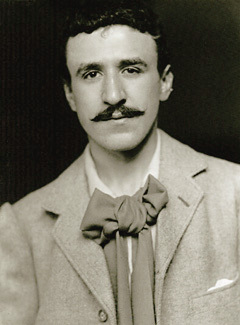 In September 1883, aged 15, Mackintosh enrolled for the first time as a student at the Glasgow School of Art; he continued to attend until 1894. 14 During this period he took classes in drawing, painting, modelling and design, following the national curriculum laid down by the Department of Science and Art in London, a centralised scheme known from the Department's location as the 'South Kensington System'. In 1886–7, his fourth year, he also passed a course in Elementary Architecture, and in his fifth year he passed a further course in Building Construction. As part of these studies, Mackintosh made designs for prescribed subjects which were entered in class competitions, such as A town house in a terrace, and others which were submitted in the annual National Competition of Schools of Art. He won prizes in the National Competitions in 1888 for his design for a mountain chapel and in 1889 for his design for a Presbyterian church, and in 1891 he won silver medals for his design for a public hall and design for a science and art museum. These student projects show little sign of the individuality that would mark his mature work. Whether or not Hutchison offered him the chance to stay on as draughtsman or assistant after completing his apprenticeship, Mackintosh moved to the office of John Honeyman & Keppie, where he was paid for the first time by his new employers on 27 July 1889. 15 John Honeyman (1831–1914) had been a leading figure in Glasgow architecture since winning the competition for the Lansdowne United Presbyterian Church on Great Western Road in 1862. As well as churches (which reflected his archaeological interests, and perhaps also his early intention of entering the ministry) he designed schools, public buildings, many large houses and one exceptional commercial building, F. & J. Smith's furniture warehouse in Gordon Street, later known as the Ca d'Oro Building. He also published widely on historical and practical aspects of architecture, and played a prominent role in the profession nationally, becoming a member of the Council of the Royal Institute of British Architects in 1876. Success allowed him a prosperous lifestyle, and he became a keen yachtsman. However, following the catastrophic collapse of the City of Glasgow Bank in 1878, commissions began to dry up, and the value of the work he undertook dropped sharply during the 1880s. It was in these circumstances, in December 1888, that Honeyman took into partnership John Keppie (1862–1945), 30 years his junior. 16 For Mackintosh the new partnership would have had the combined attraction of Honeyman's distinguished past and Keppie's youthful energy. For the partners, they were taking on a talented assistant whose successful student career promised much. Keppie had rejoined Campbell Douglas & Sellars on returning to Glasgow, becoming chief assistant. With Sellars he worked on the firm's successful entry in the design competition for buildings to house the 1888 Exhibition, and then on the buildings themselves. 20 Mackintosh's drawings of these temporary structures are among his earliest surviving sketches, and the appeal of their fantastical, oriental character and light timber construction might have been among the factors that subsequently attracted him to Keppie's office. 21 It was following Sellars's death in October 1888 that Keppie left to join Honeyman, taking with him the design for Anderson's College Medical School (which he had prepared under Sellars's supervision) as a major building with which to get the new partnership off the ground. The unusual genesis of this project is recorded on the building itself, which is inscribed with the initials 'JS' (for James Sellars) at one side of the gable, and 'H & K' (for Honeyman & Keppie) at the other. According to the later recollections of James Herbert McNair, Keppie brought past clients as well as current jobs with him from Sellars's office. 22 Among the former were George Outram & Co., proprietors of the Glasgow Herald. Sellars had designed the newspaper's Buchanan Street offices, to which John Honeyman & Keppie, with Mackintosh in the uncredited role of assistant, would later make major additions. Drawings constitute by far the largest body of documentation; over 1200 survive. But these are only a small fraction of those produced, and for 143 of the projects carried out by the firm during the Mackintosh years – about half the total – no drawings at all can be found today. Where drawings do survive, they are not always in complete sets, and they invariably present significant problems of interpretation (see Essays: 'Architectural Drawings'). Those produced for the various Dean of Guild Courts – the great majority of the survivors were drawn for this purpose – are mostly quite cursory, and the draughtsmanship shows little individuality (the purpose of the drawings was regulatory rather than aesthetic). Handwriting is sometimes identifiable, but a number of different hands may be present on the same sheet. It is important to stress that it cannot be assumed that whoever made a particular drawing contributed to the design in a creative, imaginative sense. Until the widespread adoption of mechanical reproduction, drawings were usually copied by tracing them manually, a tedious task that naturally fell to the more junior members of a large office. Architecture is a collaborative art: the practice name is publicly attached to a building, but the design will have been the responsibility of one or other of the partners, assisted to a greater or lesser extent by junior members of staff. Andrew Graham Henderson, who became Keppie's partner after Mackintosh left, recalled that when he, Henderson, had been an assistant in the office, he had sometimes been required to assist the 'modernist' Mackintosh, sometimes the traditionalist Keppie. He presumably had to adapt unquestioningly to their very different approaches, a situation he diplomatically described as 'stimulating and provocative'. 28 W. S. Moyes also assisted both partners, and 40 years later their different artistic personalities remained distinct in his memory. 29 Before he became a partner, Mackintosh would have been in exactly the same subservient position. In some cases, a building described publicly as the work of John Honeyman & Keppie might be partly or entirely the work of their talented but unnamed assistant. Mackintosh came to resent this lack of recognition, complaining to Hermann Muthesius that although he had designed the Glasgow Herald building, his role could not be publicly acknowledged because he was not a partner: 'Although the building in Mitchell Street here was designed by me the Architects are or were Messrs Honeyman & Keppie – who employ me as assistant. So if you reproduce any photographs of the building you must give the architects' name – not mine. You will see that this is very unfortunate for me, but I hope when brighter days come I shall be able to work for myself entirely and claim my work as mine.' 30 The contributions of different hands to the same design inevitably become blurred during the creative process, as Herbert McNair later recalled when describing the collaboration of Keppie and Mackintosh on the design for the Glasgow School of Art: 'when two are working together in consort, it is hard to say how much is the suggestion or influence of the one & how much that of the other.' 31 A century later, it is no easier. From documentary sources, a number of jobs can be identified with reasonable certainty as having been designed by Keppie personally, and on the basis of these it is possible to make further attributions on grounds of style. Classicism is a continuous thread running through his work, consistent with his training under the classicist Sellars, his studies at the École des Beaux-Arts and his travels in Italy. The 1889 monument to members of the Miller family in the Glasgow Necropolis, which is signed with Keppie's name, takes the form of a severe Ionic aedicule (although the contemporary monument to Sellars in Lambhill Cemetery, published at the time as Keppie's design, is in an Egyptian manner derived from the work of Alexander Thomson). The Renaissance-style Keppie family monument in Sighthill Cemetery must be of about the same date (James Keppie, the architect's father, died in 1889) and was surely designed by John Keppie, although being a private job it did not go through the firm's books. It has the characteristic Italian Renaissance shields – or stemmata – that occur again and again in the firm's work. Similar shields appear round the dome of Pettigrew & Stephens' department store in Sauchiehall Street, grandiosely rebuilt in Renaissance style in 1899–1901; 'Mr John Keppie (of Messrs. Honeyman & Keppie)' is named as architect for this highly important job in Pettigrew & Stephens's advertising at the time the plans were published, and Moyes later ascribed the design to him. 33 The largest projects from the early years of the partnership – the Skin and Hide Market in Greendyke Street, the Cheapside Street grain stores and the offices of the Fairfield Shipbuilding & Engineering Co. – can all be ascribed to Keppie on stylistic grounds: the two former have the same big semicircular windows that Sellars had used at Wylie & Lochhead's cabinet works in Kent Road, begun in 1880, while the entrance block of Fairfield's seems like a partial reprise of Keppie's Tite Prize post office design. Honeyman may have worked on other projects during his partnership with Keppie. The style of the Tudor drill hall at Cardross, the Geilston Hall, might reflect his antiquarian interests, and the commission may have come through his association with the Volunteer movement, but firm evidence is lacking. In the beginning, not surprisingly, Mackintosh seems to have assisted the partners while enjoying little scope for personal creativity. Two of the biggest commissions undertaken in the firm's first four years were important industrial buildings near the centre of Glasgow: the Skin and Hide Market (1889–91) in Greendyke Street, and the Cheapside Street grain stores (1892–3), close to the docks. As already noted, both were almost certainly designed by Keppie, but one of the drawings for the market and several of those for the grain stores have annotations in Mackintosh's handwriting, identifying the materials to be used and explaining structural details for the benefit of the Dean of Guild Court. 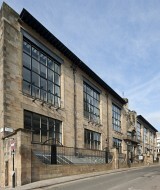 Both were large, multi-storey buildings with floors carried on cast-iron columns, comparable in scale and structural technique to the Wylie Hill store on which Mackintosh had recently been working as Hutchison's apprentice. The impression in both cases is that while Keppie had control of the aesthetic side, Mackintosh may have assisted with the more mechanical aspects of these designs, and possibly made the grain store drawings. It is likely that the same arrangement obtained for other projects: Mackintosh's handwriting is identifiable on, for example, the Dean of Guild drawings for alterations to St Thomas Wesleyan Methodist Church (1892–3), for the new halls at the Free West Church, Perth (1895–6) and for the grimly utilitarian factory of the British & Foreign Aerated Water Co. (1897–9). 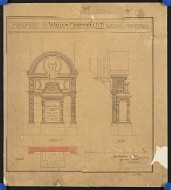 He was probably involved in a similar way with other projects, for which no drawings survive as evidence (the unusually detailed drawing for the memorial to Dr William Chrystal in Glasgow Cathedral (1890–1) seems to be in Mackintosh's hand, though it has no annotations). Mackintosh no doubt had other menial duties to perform at first. In September 1894 we find him travelling to Craigendoran on the Firth of Clyde with fellow draughtsman Donald M. Stoddart to take measurements of the mansion of Camis Eskan (this followed a separate visit by Honeyman, during which the partner had received instructions from the client about proposed alterations). 41 It is the only explicit reference in the practice records to Mackintosh carrying out survey work, but this is the kind of lowly task that might well have fallen to him in the early years. Throughout the 1890s, however, there were never fewer than two assistants in the office besides Mackintosh, and for longish periods there were three or four, so there would have been others who could undertake this type of routine work, leaving Mackintosh free to design. In the student register for the 1892–3 session at the Glasgow School of Art, he is described for the first time as 'Architect' rather than 'Architectural Draughstman'. 42 His steadily rising status within the practice is reflected in a series of salary increases recorded in the office cash book, and this can only be due to the growing importance of his design work. He started on £5 a month in July 1889, and by October the following year this had risen to £6. He was on £8 by May 1892 and £10 by September 1893, rising to £12 in July 1895, £15 in April 1898 and £16 in May 1899. 43 By 1898 his salary was more than three times that of the next highest-paid employee. He seems to have begun by designing significant parts of larger schemes for the partners – in the words of Henderson, it was natural 'that traces of [Mackintosh's] original and questing genius should be seen in Keppie's work' 44 – but the precise extent of his contributions can be difficult to gauge. The earliest projects where his hand can be seen involve interior decoration and fitting out. At the Glasgow Art Club (1892–3), the idiosyncratic Art Nouveau finger plates and ventilation grilles are so unusual that they can only have been designed by Mackintosh, and his drawings of them were published in a local magazine. 45 The doorcases and fireplaces have Italian Renaissance details, but so freely treated in comparison with Keppie's work (such as the fireplace at the Skin and Hide Market) that they too must be Mackintosh's. In the first phase of alterations to Craigie Hall (1892–3) there is a similar contrast between the mainstream Renaissance architecture of the new winter garden and the extraordinary woodwork of the hall and library. It may be that Mackintosh's 25% salary increase in September 1893 was in recognition of his work on these two important projects. At Achamore House, as at Craigie Hall, the original mansion had been designed by Honeyman, and it was perhaps Honeyman rather than Keppie who reconstructed it in 1896–7. Once again, the new interiors incorporated chimneypieces and panelling that bear the stamp of Mackintosh. The same is true of the session house stair and wrought-iron lamp standard at Skelmorlie Parish Church (1892–5), the shop front for the stationer Robert Lorimer at 401 Sauchiehall Street (1895) and the unusual roof trusses at St Paul's Church mission hall, Shuttle Street (1895–6). Not all this early work was equally rewarding. Like every practice, John Honeyman & Keppie dealt with many bread-and-butter jobs, and Mackintosh seems to have been given independent responsibility for some of the less glamorous work that came into the office. In 1893–6 the practice made additions to several tenements to provide indoor toilets, a new requirement under the 1892 Burgh Police (Scotland) Act. Mackintosh's handwriting appears on the Dean of Guild drawings for such additions at Carrick Street, and in the case of similar work at Balmano Street, Tarbet Street and Dale Street, he signed drawings on behalf of the practice although he was not yet a partner. 46 No doubt there was more work of this kind. 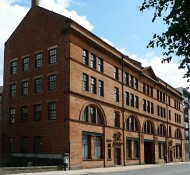 The dividing line between Keppie and Mackintosh is particularly difficult to establish in the key work of this period, the Glasgow Herald building. Mackintosh seems to have supplied designs for some of the interiors, but he also claimed authorship of the very large Mitchell Street extension (1893–7) with its dramatic corner tower. 47 This claim should not be accepted uncritically. The Glasgow Herald building was by far the largest project undertaken by the practice during the Mackintosh years, and it is hardly likely that such an important job would have been put entirely in the hands a young and relatively inexperienced assistant. A partner must have been in charge, and this was evidently Keppie, who is named as architect in contemporary and later sources. 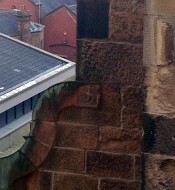 Keppie must have contributed to the design to some extent – the ground-floor openings with their exposed cast-iron lintels are a Keppie feature familiar from Greendyke Street and Cheapside Street – and it seems probable that as a senior and more experienced colleague he would have been involved in the technical and project-management aspects of so large and complex a building. Nevertheless, the surviving drawings – of which there are more than for any other project, including many detailed technical drawings – are so heavily annotated in Mackintosh's handwriting that he must have been engaged on many aspects of the design, and not just on the distinctive decoration that follows on from his earlier work at the Art Club and Craigie Hall. The unusual form of the tower reflects the 1887–90 turret of J. M. MacLaren's Stirling High School, a building that Mackintosh studied and drew, and there are other drawings in his sketchbooks that seem to show him experimenting with alternative ways of articulating the Mitchell Street facade. Such evidence supports his claim to have had overall responsibility for the building's external appearance. His work on the Glasgow Herald building established Mackintosh's central creative role in the office, and from 1894 he seems to have been given responsibility for the design of entire buildings. While the Mitchell Street building was under construction, John Honeyman & Keppie received in the space of three years four important commissions for public buildings in Glasgow, each of which appears to have been designed by Mackintosh more or less independently: the Queen Margaret College Anatomical Department (1894–5), Martyrs Public School (1895–7), the Glasgow School of Art (1896–9) and Queen's Cross Church (1896–9). The anatomy department and the board school were particularly covetable jobs because they held out the prospect of further work from the same institutional clients, while the church provided a highly visible opportunity for demonstrating ability in the artistic side of architecture. It was a major vote of confidence on the part of Honeyman and Keppie to entrust Mackintosh with such projects. The partners must have maintained some involvement, but there is strong evidence for Mackintosh's primary authorship: his extensive annotations on the Dean of Guild drawings, the perspectives he drew for exhibition in an unusually personal style, published references that appeared later in his lifetime, and, above all, the extraordinary individualism of the buildings themselves. 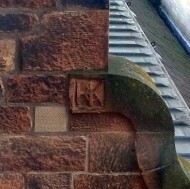 Also around this time it is tempting to see his hand in the Helensburgh Conservative Club (1894–5) with its highly unorthodox detailing, although there is very little documentation to support such an attribution. The Glasgow School of Art was the subject of an architectural competition. Competitions were important for any ambitious architect's office – success might lead to a commission, but even an unsuccessful entry could be illustrated in the professional press or shown in an exhibition – so the fact that Mackintosh seems to have been involved in preparing the majority of John Honeyman & Keppie's competition entries can be seen as a real measure of his importance within the practice. His chapter house and railway terminus schemes, prepared for the RIBA Soane Medallion in 1891 and 1892, were merely student exercises, and not designs for buildings that might actually be carried out. Nevertheless, they show his skill in producing the kind of beautiful and elaborately worked out sets of drawings that were required in competitions for professional work in the real world. 53 At the same time as making the chapter house drawings Mackintosh worked to varying degrees on all three of John Honeyman & Keppie's entries in the immensely important Glasgow Art Galleries competition (1891–2), and the following year his hand was evident in their highly-praised design for the Manchester Municipal Technical School (1892). Two of the Art Galleries schemes and the Manchester school appear to have been joint efforts with Keppie, but they include prominent features derived from Renaissance buildings that Mackintosh had personally studied and drawn during his recent visit to Italy, and the draughtsmanship and lettering of one of the Art Galleries designs links it unmistakably to Mackintosh (the third Art Galleries design seems to have been Honeyman's, but Mackintosh evidently worked on it as draughtsman). Mackintosh no doubt hoped that the relative orthodoxy of the National Bank design would appeal to a dignified financial institution seeking 'a thoroughly businesslike building of the highest class and of chaste design'. 56 Just four months earlier, by contrast, he had completed John Honeyman & Keppie's extraordinary entry in the competition for buildings to house the Glasgow International Exhibition of 1901 (1898). The temporary nature of these buildings, and the general air of fantasy that surrounded such exhibitions, encouraged a free and experimental approach. For Mackintosh it was an opportunity to carry to new lengths the radical paring away of superfluities on which he had embarked with the School of Art, and to develop further the novel and highly personal decorative elements found there and at Queen's Cross Church. Some features of his rejected design are taken further in a small group of 'ideal' designs that Mackintosh made in 1899–1900. The Artist's house in the country, the Artist's house in the town and the design for a country mansion all use roughcast (first encountered in a drawing Mackintosh exhibited in 1895 for an inn at Lennoxtown) in combination with stone dressings, and their smooth white walls are punctuated with windows in an unusual variety of shapes and sizes. In the two artists' houses there are no cornices, and the roughcast is swept up and over the wall heads and chimney tops to give smoothly rounded edges, as in the battered towers of the exhibition buildings. The same materials, and a more ambitious version of the same pared down, roughcast, ahistorical architecture, are found in the competition design for a House for an Art Lover, prepared by Mackintosh at the beginning of 1901. These ideal designs for houses were flights of fancy, not intended to be built. In three rejected proposals for Auchenbothie gate lodge, however, Mackintosh applied the same approach to an actual dwelling, though a far less ambitious design was built instead. It is significant that the first building to be carried out in Mackintosh's stripped down, vernacular, roughcast manner did not come to him through the office of John Honeyman & Keppie but was a private commission from a friend. This was Windyhill (1900–1), a family house for the Glasgow provisions merchant William Davidson in the affluent commuter town of Kilmacolm. It was probably through Davidson that Mackintosh had, in 1897–8, carried out the private commission for a gravestone for James Reid with symbolist sculpture. At Windyhill, Mackintosh's transformation of traditional Scottish features into abstract geometrical shapes is very apparent. He placed the stair in an apsidal tower, echoing 17th-century Scottish tower houses. However, instead of making a show of its conical roof – as at John Honeyman & Keppie's Redlands, Bridge of Weir (1898–9) and Ferndean, Barrhead (1898–1900) – he simplified its outline by giving it a horizontal parapet. This type of flat-topped, semi-cylindrical tower is found in Mackintosh's first, rejected, designs for Auchenbothie gate lodge, and in his country mansion design. The year before designing Windyhill, he had actually built a stair tower of this type at Ruchill Free Church Halls (1899). By 1900–1 Mackintosh had become extremely busy through taking on a significant amount of private work. As well as Windyhill, he was designing a room setting for the Eighth Exhibition of the Vienna Secession – possibly helped by his soon-to-be wife Margaret Macdonald, to display work by the two of them and work by Herbert McNair and Frances Macdonald; he was redesigning the interiors of his and Macdonald's new home at 120 Mains Street (the new interiors were published under their joint names in the Studio); he was carrying out the complex internal transformation of Miss Cranston's Ingram Street tea rooms (again with contributions by Macdonald in the form of decorative gesso panels); and he was working on furnishing and decoration schemes at Dunglass Castle and Kingsborough Gardens. 57 Meanwhile, in the office of John Honeyman & Keppie, he was designing a second city-centre newspaper office, the Daily Record building, as well as display stands for Francis Smith, the School of Art and Pettigrew & Stephens for the 1901 Glasgow International Exhibition. In its use of coloured facing materials and surface pattern achieved through raised brickwork, the Daily Record building ran counter to the general direction of Mackintosh's architecture at this date. Nevertheless, it still drew imaginatively on the Scottish castle tradition, with its top-floor projecting bays in the manner of Huntly Castle and the massive masonry of its entrance, features that Mackintosh emphasised in a virtuoso perspective watercolour, probably made for the 1901 Exhibition. Faced with the unusually decorative treatment of the Daily Record building, it is worth remembering that the relative austerity of the Ruchill halls, the School of Art and the exterior of Queen's Cross Church may not be an entirely true reflection of Mackintosh's intentions. In all three cases, the drawings approved by the Dean of Guild Court show a limited amount of carved ornament, all the more telling because restricted to accents or highlights. Mackintosh's ideal designs for the Artist's house in the country, Artist's house in the town, country mansion and House for an Art Lover are all enriched in this way (and the Daily Record perspective shows the great keystone over the entrance decorated with carving, which was not carried out). It seems likely that budgetary constraints prevented Mackintosh from fully realising this important aspect of his designs. In the final years before he became a partner, Mackintosh seems to have contributed to a number of lesser works. Among these are a billiard room addition to the rear of 12 Clairmont Gardens (1898–9) for the dentist Oswald Fergus, and a three-storey addition and other alterations at 233 St Vincent Street (1898–1900) for the decorators H. L. Anderson & Co. The Dean of Guild drawings for both schemes have Mackintosh's characteristic lettering, with unusual curvilinear motifs incorporated into the practice address, and there are also autograph drawings by him for the interior woodwork at Clairmont Gardens. Moreover both schemes have stylistically unusual features that strongly suggest his involvement: at Clairmont Gardens a sinuous, undulating cornice ties the two unequal gables together, while at St Vincent Street the interior joinery has details that closely echo some of his furniture designs. Some of the Dean of Guild drawings for Ferndean, Barrhead (1898–1900) and for alterations to 256 West George Street (1898) have the same type of curvilinear motif included in the practice address. The unorthodox Gothic woodwork at Belhaven Church (1898–9) is also by Mackintosh, as shown by its style and confirmed by a tracing of one of his drawings made in the 1930s by Ronald Harrison, an early student of his architecture. A work that can be firmly ascribed to Mackintosh on stylistic grounds, and for which the drawings are in his hand, is the billiard room addition to Aytoun House. It was designed in early 1901, while he was still an assistant, but by the time it was completed he had become a partner. The partnership agreement signed by Keppie and Mackintosh in October 1901 was back-dated to 1 January, so Mackintosh's elevation to the status of partner was made to coincide retrospectively with Honeyman's departure (see Appendix: Partnership agreement). 59 Honeyman was to be bought out by receiving half the profits for three years, the remainder being divided between the two partners, with Keppie receiving two thirds and Mackintosh one third. For the next two years Keppie would receive three fifths of the profits and Mackintosh two fifths, and thereafter there would be an equal division. A clause guaranteed that for the first three years Mackintosh's annual share would not fall below £250, whatever the firm's profits. This was presumably to ease Mackintosh's transition from the security of being a salaried employee to the less predictable remuneration of a partner, and at first he drew this sum in monthly payments of £20, rising to £30 in December, exactly like a salary. 60 The partnership was to be reviewed after ten years, but clearly it was envisaged that within five Mackintosh would have established a clientele and would be contributing to the income of the practice on the same level as Keppie. In the first few years of the new partnership Mackintosh had plenty of work and the future looked promising. The commission for The Hill House (1902–4) came to him because the client, the Glasgow publisher Walter W. Blackie, had admired his designs for the School of Art and Windyhill. 61 It was the biggest domestic commission of his career, and the result was a richer, more complex development of the roughcast vernacular style he had used at Windyhill. For his old client Kate Cranston he rebuilt the tenement at 217 Sauchiehall Street – then Glasgow's most fashionable shopping street – as the Willow Tea Rooms (1903), giving it a startling asymmetrical facade, and he also designed alterations to her residence, Hous'hill (1904–5). Scotland Street School (1903–7), a major new building for the School Board of Glasgow, was the most lucrative job he carried out at this time, combining features derived from 17th-century architecture with abstract geometrical decoration outside and dramatic spatial effects within. Alongside these high-profile projects there were utilitarian additions to the Eglinton Foundry (1902–5); a small roughcast shop-and-office building at Comrie, Perthshire (1903–5); substantial additions to Arddarroch (1904–5), an early 19th-century house on the shores of Loch Long; and modest alterations at Fairlie Cottage in Ayrshire (1902–3). Overseas, he designed a music salon for a private client in Vienna (1902–3), and room settings for exhibitions of decorative work in Turin (1901–2), Moscow (1902), Berlin (1903–5) and Dresden (1903). Although the terms of their agreement did not permit the partners to undertake private commissions, it specifically allowed them to carry out exhibition work in their own time. After this promising start, however, things began to falter. Crucially, Mackintosh received only two significant commissions from new clients after 1905: one was Auchinibert (1905–8), a large house at Killearn for F. J. Shand, a Glasgow industrialist; the other a substantial extension to The Moss (1906–8) at nearby Dumgoyne, for the antiquarian lawyer Sir Archibald Campbell Lawrie. 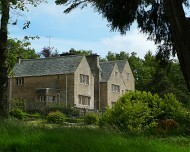 Neither design showed the power of invention that had characterised The Hill House. Mackintosh continued to do important work for Miss Cranston – the Dutch Kitchen (1905–6) in Argyle Street, and the Oak Room, Oval Room and Chinese Room at Ingram Street, as well as further work at Hous'hill – and there was also Mossyde (1906–7; 1908–9), a simple cottage that evolved by stages into a more substantial house. It was commissioned by Hugh Brown Collins, who had previously employed Mackintosh to do the gate lodge at Auchenbothie. There were also the alterations he carried out to the house he and Margaret Macdonald moved to in 1906, 6 Florentine Terrace. Against this background of underachievement Mackintosh nevertheless produced the single most remarkable work of his career, the completion of the Glasgow School of Art (1907–9). Lack of funds meant the west wing had been left unbuilt when the School opened in 1899, but in 1907 the governors appointed Honeyman, Keppie & Mackintosh to finish it. More accommodation was required than had been envisaged at the time of the original competition, and Mackintosh radically revised his earlier scheme. The north front was completed as originally intended, but a recessed top floor was added, along with ingenious additions at the rear to help with circulation. At the S.W. corner he designed the tower-like library wing with its soaring oriel windows, his most imaginative response to the Scottish tower-house tradition. The completion of the School of Art cost £25,584, making it the biggest single job undertaken by the practice during the years when Mackintosh was a partner. However, after becoming entitled to half the profits in January 1906, the total value of the projects Mackintosh is known to have designed was very much less than half what the practice as a whole undertook. Between 1906 and 1909 Keppie was responsible for a string of big projects – the main phase of the extravagant country house Dineiddwg (1905–8), the enormous tenement at 307–335 Hope Street (1906–7), the large and prominent Parkhead Savings Bank (1906–8) and Wilmar (1907–8), a big house at Skelmorlie – as well as substantial additions and alterations to the Lenzie United Free Church (1906) and Rothesay United Free Church (1907–8), and no doubt much minor work too. The contributions of the two partners to the business appear to have been far from equal. Why did Mackintosh's architectural career stumble in this way? As an assistant in the office of John Honeyman & Keppie he had been able to concentrate on designing, the job he did supremely well. Now that he was a partner, he was jointly responsible for generating work by attracting and nurturing clients, and he seems not to have risen effectively to this challenge. Keppie was a member of Glasgow's professional establishment. Through holding a range of official positions (and no doubt also through his leisure pastimes of golf and billiards) he was thoroughly embedded in those networks that are vital to an architect in the constant search for new work. All the commissions mentioned above came to him without any public competition, evidently as a result of reputation and personal influence. Mackintosh seems to have been unwilling or unable to tap into networks in this way, and his relations with clients do not always appear to have been smooth. It is natural to suppose that the extreme individualism of Mackintosh's work restricted the number of clients who chose him. McNair said that after Mackintosh became a partner, clients who wanted orthodoxy went to Keppie while those who liked 'the strange things ... emanating from the office' went to Mackintosh; and no doubt there were fewer clients of the latter kind. 76 It is evident from Mackintosh's correspondence with F. J. Shand, however, that he could do orthodoxy too, and that he was prepared to design in whatever style the client preferred: 'If you want a house in the Tudor or any other phase of English architecture,' he wrote, 'I can promise you my best services if you ask me to be your architect.' 77 Having tried unsuccessfully to interest Shand in photographs of The Hill House and Windyhill, Mackintosh went on to design Auchinibert for him in an unexceptional style derived from Tudor models, with very few obvious Mackintoshisms. To judge from photographs of the demolished E. wing at Arddarroch, there was nothing unusual about its appearance to suggest that it was by the same hand as The Hill House and Windyhill, and yet there is good documentary evidence that Mackintosh was the architect. Its ordinariness may reflect the client's wishes. Other examples of Mackintosh working in a mainstream style are the design for an unidentified and apparently unbuilt house at Kilmacolm (1902), and the Gothic Revival organ case, of no particular individuality, at St Philip's United Free Church, Portobello (1906–7). The prevalence of this new taste is starkly illustrated in the results of a number of competitions that the practice entered, or considered entering, during Mackintosh's final years in Glasgow: the National Museum of Wales in Cardiff (1909–10), the Usher Hall in Edinburgh (1910) and the extension to Glasgow City Chambers (1912) were all won by Beaux-Arts schemes. 80 All the shortlisted entries in the abortive competition for the proposed Manchester Library and Art Gallery (1911) were also of this type, and among them was one designed by Andrew Graham Henderson, the new rising star in Honeyman, Keppie & Mackintosh's office, in association with former employee, John R. Hacking. It was Henderson who went on to make the drawings that won the Jordanhill Demonstration School competition, the very project for which Mackintosh had apparently failed to produce a satisfactory design. Nothing could illustrate better how the tide of taste had turned against Mackintosh. His final Glasgow projects – some utilitarian alterations to a farmhouse, Auchenbothie Mains, and the interior fitting out of a hairdressing salon (which may not have been carried out) – show his architectural career in the city petering out. The Mackintoshes left Glasgow in July 1914 for a period of rest and recuperation at Walberswick in Suffolk. What began as a holiday, however, became a permanent removal, and by the summer of 1915 they were in London. Here Mackintosh attempted to restart his architectural career, but little of substance resulted. If he had few established clients in Glasgow, he had none at all in London; and the First World War made times extremely difficult for the architectural profession in general. There is scanty documentation for this part of Mackintosh's life, and there are extended periods for which no reliable information is available. The Scottish theorist and town planner Patrick Geddes, who had been a friend of the Mackintoshes in Glasgow, gave him some employment as a draughtsman in connection with a summer school he was running in London in 1915. It may have been for this, or for Geddes's town planning work in India, that Mackintosh made two designs for buildings in an arcaded street. Despite some superficial 'oriental' details, the elevations are essentially classical, with regular, repeating bays, and they may represent an attempt on Mackintosh's part to come to terms with the prevailing fashion for classicism. It was almost certainly through Geddes that he received what he described in a letter to his old patron William Davidson as 'a tentative offer from the Indian Government to go out there for some 6 months starting in October to do some work in reconstruction schemes where they want me to do the architecture'. 81 There is no evidence that anything came of this proposal. Had it gone ahead, it might have provided the stimulus and the opportunity for Mackintosh to move forward in a new direction. Among the drawings Mackintosh made for Geddes were ambitious designs for a war memorial and a memorial fountain. A much more modest design for a monument to Lt Col. Oswald A. G. Fitzgerald, Lord Kitchener's secretary, may date from around the same time (Fitzgerald died along with Kitchener in June 1916). It is not known in what circumstances Mackintosh made this design, which has the kind of angular ornament he had used on the exterior of Scotland Street School; a very much watered-down version was erected in Eastbourne. The war was also directly reflected in designs he made in 1916–17 for alterations to the Willow Tea Rooms: new basement rooms known as the Dug Out were created, with dramatic decoration by Mackintosh including a memorial fireplace to commemorate the on-going conflict; but the structural changes to the building were not extensive. In 1916–17 he also worked on the remarkable interiors at 78 Derngate, Northampton, for W. J. Bassett-Lowke, but the architectural component of this scheme – the garden elevation with its recessed balcony – seems to have been designed by Bassett-Lowke himself, in association with the local architect Alexander Ellis Anderson. At the start of 1920 things suddenly seemed to look up. Mackintosh received several commissions for buildings on the site of Old Cheyne House and its garden, very close to his Chelsea studio, and there was the real prospect of doing significant architectural work again. The various projects are documented in a large number of surviving drawings, and in a business diary he kept that year, which seems to indicate a renewed sense of purpose. 84 He made designs for three neighbouring studios – for Arthur Cadogan Blunt, for Harold Squire and for Francis Derwent Wood – to stand on the north side of the site facing Glebe Place. A design for a theatre for the dancer and dance teacher Margaret Morris was possibly also intended for part of the site. Most promising of all for him, the Arts League of Service commissioned a large block of studios and studio flats for the south side of Glebe Place, facing Upper Cheyne Row. An early version of Mackintosh's design for this had an aggressively non-rectilinear plan, with the individual studios on different axes, expressed externally in a facade consisting of angled planes. 85 It showed that he was still ready to experiment and to surprise. He moved on to develop a different solution, an impressively austere design for a building of five or six storeys, apparently to be built in concrete. Its most eye-catching feature was the steeply-sloping rear elevation, determined by the requirements of the 1894 London Building Act. Had it been built, the sheer walls, complicated roofline and huge studio windows would have brought echoes of Mackintosh's Glasgow work to London. There were objections from the agent of the Glebe of Chelsea (the ground landlord) who disliked the plainness of Mackintosh's designs both for the studio block and for Derwent Wood's building, but in the end, all the schemes seem to have foundered for the more fundamental reason that the clients could not find the money to carry them out. Only Harold Squire's studio was built, but in a much simpler form than Mackintosh had originally proposed. These unexecuted buildings are the last on which Mackintosh is known to have worked and they mark the end of his career as an architect. The remaining years before his death in 1928 were largely devoted to painting. In assessing Mackintosh's architectural career, previous studies have tended to focus on a familiar group of high-status buildings and unbuilt designs, recognisable as Mackintosh's because of their marked individuality. The Mackintosh Architecture project, by contrast, has surveyed the whole output of the office of John Honeyman & Keppie / Honeyman, Keppie & Mackintosh, and has looked for evidence of Mackintosh's hand in the full range of the practice's work. At times, this has been frustrated by the limited surviving documentation and by the fact that a significant number of JHKM buildings have been demolished. The project's holistic approach acknowledges that architecture is a collaborative process, and that a building is not generally the creation of an individual working in isolation. It also highlights the fact that much of an architect's time can be spent on relatively minor jobs, often involving low-status buildings and having little apparent aesthetic content. By basing its conclusions on the careful assessment of documentary evidence – annotations on drawings, the written records of the practice, and other archival sources – the project has tried to avoid placing too much value on the evidence of style alone. Many of these documentary sources have been used in relation to Mackintosh for the first time here. The project, as this essay makes clear, has not discovered any major, previously unrecognised works to add to the Mackintosh canon, but this is not surprising for an architect who only died in 1928, and who has been revered and made the subject of exhibitions and publications for more than 60 years. Nevertheless, a number of interesting works have come to light. Some of these – such as the billiard room extension at Aytoun House and the shop front at 401 Sauchiehall Street – have a recognisable affinity with works traditionally associated with Mackintosh. Others – such as the additions to Arddarroch and the Eglinton Foundry – are less individual, and without documentary evidence little in the buildings themselves would suggest Mackintosh's authorship. These 'new' works, however, are only one aspect of a much more rounded picture of Mackintosh's architectural career that has now emerged. The close examination of the surviving Dean of Guild drawings has given due weight to the buildings' functional and constructional aspects, alongside their well-known aesthetic qualities (in some cases the drawings provide the only visual evidence for buildings which no longer survive). Correspondence with clients and the minutes of building committees, where they survive, have helped to highlight the financial and other practical constraints under which every architect has to operate. And detailed investigation of clients and contractors has resulted in fuller biographies of many of these often obscure figures, making it possible to see the buildings as the creation of a range of contributors, and not of the architect alone. Successful architects have to combine the role of artist with that of practical problem-solver, and Mackintosh fits more easily into the former category. Some of his most remarkable designs – those for the 1901 Glasgow International Exhibition buildings, for instance, and for the Auchenbothie gate lodge – remained unbuilt for reasons beyond his control, but others – such as the House for an Art Lover and the Artist's town house and Artist's country house – were probably not conceived as designs for real buildings at all. Many architects produce perspective drawings which give a misleading impression of their intended buildings, but Mackintosh's austerely exquisite drawings of Windyhill and The Hill House are so stylised as to give very little idea of what these houses might be like to live in. At The Hill House, the exceptional aesthetic refinement of the design has come to be universally admired, but Mackintosh's use of an untried material – Portland cement – has led to persistent maintenance problems. 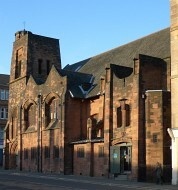 That he could satisfy both the aesthetic and the practical demands of architecture, however, is well attested by, for example, the Ruchill Church Halls, which continue to do admirably the job they were designed for; and above all by the Glasgow School of Art, where the purpose of the building was so intimately bound up with his own ideals. 1: Personalia related to his career is displayed at the Glasgow Police Museum. 2: This is Glen's own description of his intention, quoted in Joseph A. Rae, The History of Allan Glen's School 1853–1953, Glasgow: Aird & Coghill, 1953, p. 19. 3: There is conflicting evidence for when Mackintosh began his apprenticeship. When applying to become a Fellow of the Royal Institute of British Architects in 1906, he gave the date as August 1883 (London, RIBA, British Architectural Library Drawings & Archives Collection: application for RIBA Fellowship by C. R. Mackintosh). However, the student register of Glasgow School of Art does not describe him as 'apprentice architect' until the 1884–5 session (Glasgow School of Art Archives: Glasgow School of Art alphabetical register 1881–1892, REG 2/1). 4: Alan Crawford, Charles Rennie Mackintosh, London: Thames & Hudson, 1995, p. 10. 5: British Architect, 24, 17 July 1885, pp. 33–4. 6: British Architect, 24, 21 August 1885, following p. 86, and 28 August, following p. 96. 7: British Architect, 29, 25 May 1888, p. 371. 8: Glasgow Herald, 31 January 1887, p. 7. 9: Glasgow Herald, 25 March 1887, p. 9. 10: British Architect, 32, 20 September 1889, following p. 199. 11: University of Toronto, Robarts Library: notes by Thomas Howarth of an interview with W. J. Blain, 25 February 1946, B2000-0002/041(08). 12: Alan Powers, ' ''Architects I have known": The Architectural Career of S. D. Adshead', Architectural History, 24, 1981, pp. 103–23. 13: Dictionary of Scottish Architects, 1840–1980, www.scottisharchitects.org.uk [accessed 17 January 2014]. 14: Glasgow School of Art Archives: Glasgow School of Art alphabetical register 1881–92, REG 2/1. Glasgow School of Art alphabetical register 1892–1903, REG 2/2. 15: The Hunterian, University of Glasgow: John Honeyman & Keppie / Honeyman, Keppie & Mackintosh cash book, GLAHA 53079, p. 3. Mackintosh's occupation is given as 'architectural draughtsman' in the registers of Glasgow School of Art from the 1889–90 session to the 1891–2 session, having previously been 'apprentice architect' (Glasgow School of Art Archives: Glasgow School of Art alphabetical register 1881–1892, REG 2/1). However, in his 1906 application for Fellowship of the Royal Institute of British Architects, Mackintosh stated that he became a draughtsman with John Honeyman & Keppie in 1888 (London, RIBA, British Architectural Library Drawings & Archives Collection: application for RIBA Fellowship by C. R. Mackintosh). 16: British Architect, 30, 14 December 1888, p. 418. 17: Glasgow Herald, 31 July 1937, p. 13. James Keppie, John Keppie's father, left a personal estate valued at £22,494 17s 7d on his death: Glasgow Herald, 16 February 1891, p. 8. 18: Glasgow Herald, 1 September 1882, p. 9; 12 May 1887, p. 6. 19: British Architect, 27, 21 January 1887, p. 48; 29, 20 January 1888, p. 37. 20: Glasgow Weekly Herald, 28 October 1933, p. 3. 21: Dublin, National Library of Ireland: Mackintosh sketch book, 2009 TX, p. 7. 22: The Hunterian, University of Glasgow: letter from J. H. MacNair to Thomas Howarth, 25 July 1945, GLAHA 53913. 23: Glasgow Herald, 9 August 1888, p. 6; 7 November 1889, p. 6; 22 October 1890, p. 4. 24: British Architect, 30, 21 December 1888, p. 436; Glasgow Herald, 28 November 1891, p. 6. 25: Glasgow City Archive Collection: Catalogue and Book of References. The Glasgow Building Trades Exchange.1896, T-ARD 17/36; 1898, T-ARD 17/37. 26: The Hunterian, University of Glasgow: John Honeyman & Keppie job book, 1887–1897, GLAHA 53059; John Honeyman & Keppie / Honeyman, Keppie & Mackintosh job book, 1894–1905, GLAHA 53061; Honeyman, Keppie & Mackintosh job book, 1902–1911, GLAHA 53062; Honeyman, Keppie & Mackintosh job book, 1908–1922, GLAHA 53060; John Honeyman & Keppie / Honeyman, Keppie & Mackintosh cash book, 1889–1917, GLAHA 53079. 27: The Hunterian, University of Glasgow: John Honeyman & Keppie visit book, GLAHA 53060. 28: Journal of the Royal Institute of British Architects, September 1945, p. 340. 29: University of Toronto, Robarts Library: letter from W. S. Moyes to Thomas Howarth, 22 July 1947, with postscript dated 30 July 1947, B96-0028/017. Incomplete letter from W. S. Moyes to Thomas Howarth, undated, B96-0028/017. 30: Berlin, Werkbundarchiv: Hermann Muthesius Estate, letter from Mackintosh to Hermann Muthesius, 11 May 1898. 31: The Hunterian, University of Glasgow: letter from J. H. McNair to Thomas Howarth, 25 July 1945, GLAHA 53913. 32: Journal of the Royal Institute of British Architects, September 1945, p. 340. 33: For example:Glasgow Herald, 9 January 1899, p. 11. University of Toronto, Robarts Library: letter from W. S. Moyes to Thomas Howarth, 29 April 1947, B96-0028/017 (13). 34: Builder, 62, 25 June 1892, pp. 502, 513–16; George Eyre-Todd, Who's Who in Glasgow in 1909, Glasgow: Gray & Gowans Ltd, 1909, p. 91. 35: British Architect, 59, 3 April 1903, p. 241. 36: Robert James Mackenzie, Almond of Loretto, London: Archibald Constable & Co., 1905, p. 131. 37: Glasgow Herald, 27 February 1895, p. 9; 26 March 1895, p. 4; Transactions of the Glasgow Ecclesiological Society, 2, 1898, p. 3; Transactions of the Scottish Ecclesiological Society, 4, part 2, 1913–14, p. xxiii. 38: Photocopy of a manuscript copy by John Keppie of the 'Contract of Partnership between John Keppie, Architect, in Glasgow, of the first part, and Charles Rennie Mackintosh, Architect there of the second part', 10 October 1901. Supplied by Roger Billcliffe, 30 April 2012. Original untraced. 39: The Hunterian, University of Glasgow: John Honeyman & Keppie / Honeyman, Keppie & Mackintosh cash book, GLAHA 53079, p. 95. 40: Edinburgh, Royal Commission on the Ancient and Historical Monuments of Scotland: Iona Cathedral Trustees Archives, accession 2007/266, Trustees' Minute Book 1899–1922, p. 105, copy of letter from John Honeyman to trustees, 5 May 1905. 41: The Hunterian, University of Glasgow: John Honeyman & Keppie visit book, GLAHA 53060, p. 33. 42: Glasgow School of Art Archives: Glasgow School of Art alphabetical register 1892–1903, REG 2/2. 43: John Honeyman & Keppie / Honeyman, Keppie & Mackintosh cash book, 1889–1917, GLAHA 53079, pp. 3, 8, 16, 23, 31, 46 and 52. 44: Journal of the Royal Institute of British Architects, September 1945, p. 340. 45: 'Cartoon Supplement', Bailie, 7 June 1893, p. 1. 46: The drawings for a similar scheme in Muslin Street may also be by Mackintosh. If they are, they show him still undertaking such mundane work as late as 1899. 47: Berlin, Werkbundarchiv, Museum der Dinge: Hermann Muthesius Estate, letter from Mackintosh to Hermann Muthesius, 11 May 1898. 48: Glasgow School of Art Archives: bills and receipts, GOV 5/7/8; Glasgow School of Art Archives: bills and receipts, GOV 5/7/69; Glasgow School of Art Archives: bills and receipts, GOV 5/7/107. 49: Lewis F. Day, 'Decorative and Industrial Art at the Glasgow Exhibition (third notice)', Art Journal, 1901, pp. 273–7; Glasgow Herald, 26 June 1907, p. 4. 50: David Walker, 'The early work of Charles Rennie Mackintosh', in J. M. Richards and Nikolaus Pevsner, The Anti-Rationalists, London: Architectural Press, 1973, pp. 116–35. 51: The Hunterian, University of Glasgow: John Honeyman & Keppie / Honeyman, Keppie & Mackintosh cash book, GLAHA 53079, pp. 13, 27, 36, 45, 48, 56, 60. The annual subscription appears to have varied between 19s 0d and £1, but payments were not regular. The first is recorded on 8 October 1891 and appears to cover a three-year period ending on 31 December that year. 52: In the case of the School of Art, where Keppie was a visiting teacher, it seems likely that he would have wanted to make a mark. The question arises whether the exposed iron lintels of the first-floor studio windows – comparable to the Skin and Hide Market and the Cheapside grain store – might be due to Keppie rather than Mackintosh. 53: His earliest competition entry for a real building – a group of workmen's dwellings in High Street and Rottenrow (1890–1) – was quite different. The drawings were comparatively roughly executed, and the design was in a crow-stepped Scottish idiom, appropriate to Glasgow's medieval centre and in tune with Mackintosh's current enthusiasm for the Scottish Baronial as a national style. He submitted the High Street scheme in a private capacity. 54: University of Toronto Archives: Thomas Howarth collection, Thomas Howarth's redrawing of an original drawing by Mackintosh, B2000–0002/26 (07). 55: Other competition entries by John Honeyman & Keppie during the 1890s included a design for Paisley Technical School (1895–6), where Mackintosh's contribution is uncertain, and Belfast City Hall, where no visual record survives. There may well have been more, which went unnoticed by the architectural press and left no trace in the practice records. 56: Edinburgh, The Royal Bank of Scotland Group Archives: National Bank Board Minutes, NS/22/35(1). 57: Mackintosh later wrote to Margaret Macdonald Mackintosh that 'in all my architectural efforts you have been half if not threequarters in them' (16 May 1927, The Hunterian, University of Glasgow: GLAHA 52509). The research project has found no evidence of any practical input by her and the comment should be seen in the context in which it was written: to encourage his wife to speak on his behalf to Christian Barman, editor of the Architect's Journal while she was in London and Mackintosh was in France. 58: It is now in The Hunterian, University of Glasgow: GLAHA 52960. 59: Photocopy of a manuscript copy by John Keppie of the 'Contract of Partnership between John Keppie, Architect, in Glasgow, of the first part, and Charles Rennie Mackintosh, Architect there of the second part', 10 October 1901. Supplied by Roger Billcliffe, 30 April 2012. Original untraced. 60: The Hunterian, University of Glasgow: John Honeyman & Keppie/Honeyman, Keppie & Mackintosh cash book, GLAHA 53079. 61: Walter W. Blackie, 'Memories of Charles Rennie Mackintosh – II', Scottish Art Review, 11, no. 4, 1968, p. 6–7. 62: University of Toronto, Robarts Library: Thomas Howarth papers, letter from Lucy Johnston to Thomas Howarth, 30 May 1945, B2000-0002/035(01). 63: Glasgow School of Art Archives: agreement signed by Honeyman, Keppie & Mackintosh, GOV 5/5/3a. 64: Glasgow School of Art Archives: Building Committee minutes, GOV 5/1/3, 7 February 1908, 26 February 1908. 65: Stirling Council Archives Service: Minutes of Joint Meetings of Elders and Trustees of Bridge of Allan parish church, CH2/730/18, 13 July 1904. 66: Glasgow City Archives Collection: Lenzie Union Church Session minutes, CH3/644/2, 4 April 1906; 23 April 1906; 2 May 1906. Edinburgh, National Archives of Scotland: Rothesay United Free Parish Church, Deacons' Court Minutes, CH3/486/32, 7 October and 18 November 1907. 67: Glasgow School of Art Archives: Building Committee minutes, GOV 5/1/3, 10 September 1907. 68: Berlin, Werkbundarchiv, Museum der Dinge: Hermann Muthesius Estate, letter from Mackintosh to Hermann Muthesius, 19 November 1902. 69: Belfast News-Letter, 3 December 1896, p. 3. 70: Berlin, Werkbundarchiv, Museum der Dinge: Hermann Muthesius Estate, letter from Margaret Macdonald Mackintosh to Frau Muthesius, undated, but probably autumn 1902. 71: The Hunterian, University of Glasgow: John Honeyman & Keppie / Honeyman, Keppie & Mackintosh cash book, GLAHA 53079, pp. 103, 112, 156. 73: Glasgow School of Art Archives: letter from Newbery to Rev. John Smith, 13 May 1912, Director's letters, Newbery 1912–13, N-S, DIR 5/10. 75: British Architect, 63, 6 January 1905, p. 15. The following year Keppie judged the competition for alterations to the Bowes Museum, Barnard Castle, County Durham (Bowes Museum Trustees minutes, 15 March 1906. Information supplied by curator Howard Coutts, 26 July 2012; The Hunterian, University of Glasgow: John Honeyman & Keppie / Honeyman, Keppie & Mackintosh / Keppie Henderson cash book, 1889–1917, GLAHA 53079, p. 99). 76: The Hunterian, University of Glasgow: letter from J. H. McNair to Thomas Howarth, 25 July 1945, GLAHA 53913. 77: The Hunterian, University of Glasgow: letter from Mackintosh to F. J. Shand, 15 September 1905, GLAHA 55480. 78: The Hunterian, University of Glasgow: GLAHA 41319 (M134-038); The Glasgow School of Art, MC.G.64 ; Glasgow City Archives Collection, B4/12/2/1964. 79: Pamela Robertson, ed., The Chronycle: The Letters of Charles Rennie Mackintosh to Margaret Macdonald Mackintosh, 1927, Glasgow: Hunterian Art Gallery, University of Glasgow, 2001, p. 74. 80: Honeyman, Keppie & Mackintosh appear to have requested particulars of the City Chambers extension competition. On 12 July 1912, the cash book records a payment of one guinea for 'Corporation Mun Bdgs. Comp.' (The Hunterian, University of Glasgow: John Honeyman & Keppie / Honeyman, Keppie & Mackintosh / Keppie Henderson cash book, 1889–1917, GLAHA 53079, p. 151). However, it is unclear if they submitted a design. 81: The Hunterian, University of Glasgow: letter from Mackintosh to William Davidson, 5 August 1915, GLAHA 52538. 82: The Hunterian, University of Glasgow: letter from Mackintosh to William Davidson, 15 August 1919, GLAHA 52542. 83: The Hunterian, University of Glasgow: letter from Mackintosh to William Davidson, received 18 September 1919, GLAHA 52544. 84: The Hunterian, University of Glasgow: Mackintosh's diary for 1920, GLAHA 52408. 85: The Hunterian, University of Glasgow: GLAHA 41631 (M339-002); GLAHA 41632 (M339-001); GLAHA 41630 (M339-004). 86: This assessment is based largely on the project's study of British periodicals. Further work, particularly with regard to continental publications, may lead to different conclusions. Describing the gravestone for James Reid, some 14 years after it was designed, the British Architect referred to the pair of figures flanking the inscription as 'two angels in low relief guarding the grave', explaining that 'they take the form of the poppy – the emblem of sleep' (British Architect, 78, 11 October 1912, p. 241). The same article pointed out that the Orrock Johnston gravestone took the form of 'the cross with the circle, the emblem of eternity', and that it incorporated the dove as 'the emblem of peace'. These instances of symbolism are hardly obscure, and they do not relate to the decoration of buildings. 87: Lewis F. Day, 'Decorative and Industrial Art at the Glasgow Exhibition (third notice)', Art Journal, September 1901, pp. 273–7. 88: Building Industries, 16 January 1900, pp. 146–7, 153.